I just read this article and thought you might want to give it a read, too. 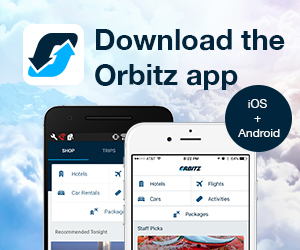 It\'s called 8 best day trips from Las Vegas and you can find it here https://www.orbitz.com/blog/2019/04/8-best-day-trips-from-las-vegas/. Las Vegas is a big sprawling city of unforgettable resorts, incredible nightlife, entertaining shows and plenty of other attractions to keep just about anyone amused. But guess what? There’s much more to Nevada beyond Vegas, and it would be a shame to overlook the breathtaking and interesting areas surrounding the city. 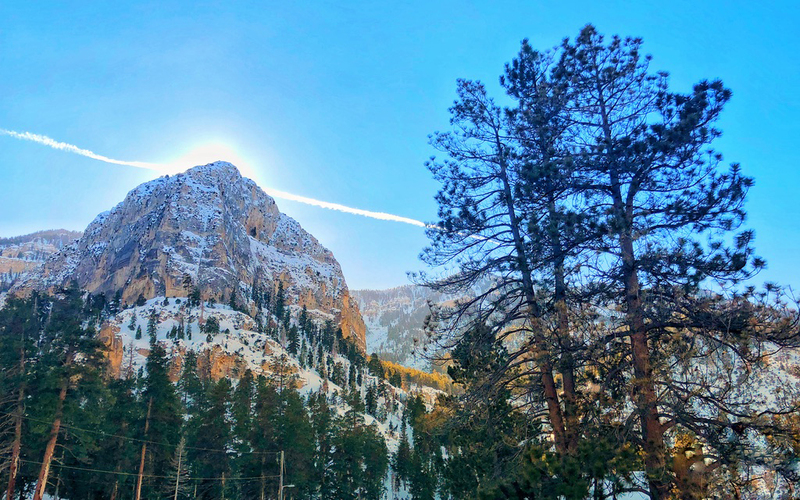 You’d be wise to rent a car for a day or more and venture off on one of these great, scenic day trips that are all within a 2-hour drive of Las Vegas. 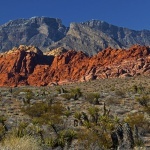 Whether it’s a scenic drive or a challenging hike you’re after, Red Rock Canyon National Conservation Area is an easy nature escape from the city. There’s a $15 entry fee and a Visitor Center just off the 159, leading to a 13-mile one-way scenic drive. It’s worth taking time to enjoy, so go ahead and pull over at scenic overlooks, get out and explore a variety of trails on foot. The trails range from an easy 1/4 mile walk (to view petroglyphs), to class four rock scrambles and bouldering. Some trails and scenic turnouts are accessible outside of the fee area, with views just as grand. Wildlife sightings may include wild burros, desert tortoises and pygmy rabbits. Carry plenty of water and note that cell service is lacking in much of the area. An authentic ghost town originally settled by the Spaniards in the late 1700s, Nelson was originally known as “Eldorado” for the gold-rich area downstream of the Eldorado Canyon. Flash flooding made this boomtown uninhabitable, though several buildings remain. 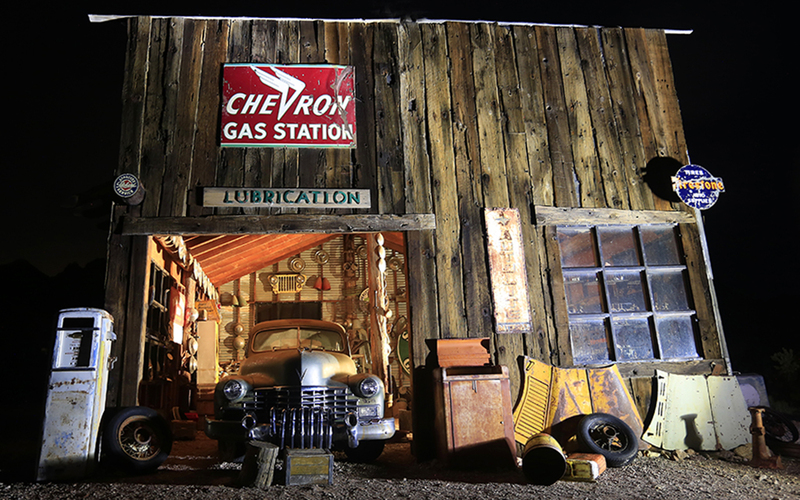 The mine and town, full of weathered machinery, old cars and a derelict Texaco station, have become a favorite location for films, music videos and photo shoots. It’s an Instagram-worthy spot, so bring your camera and fashionable duds! The property is privately owned and charges $10/hourly for photo shoots. Sign in at the museum building before shooting. A walking tour of the Techatticup Mine (Nevada’s oldest) costs $15/adults and $10/kids 12 and younger. This tourist attraction is popular for a reason—it’s easily accessible and quite spectacular to see up close. Straddling the Colorado River and Nevada/Arizona state line, the Hoover Dam is a National Historic Landmark about 45 minutes from Vegas. (Note: Vehicles are subject to inspection at a security checkpoint one mile from the dam.) The Visitor Center is on the Nevada side, and includes a parking garage. 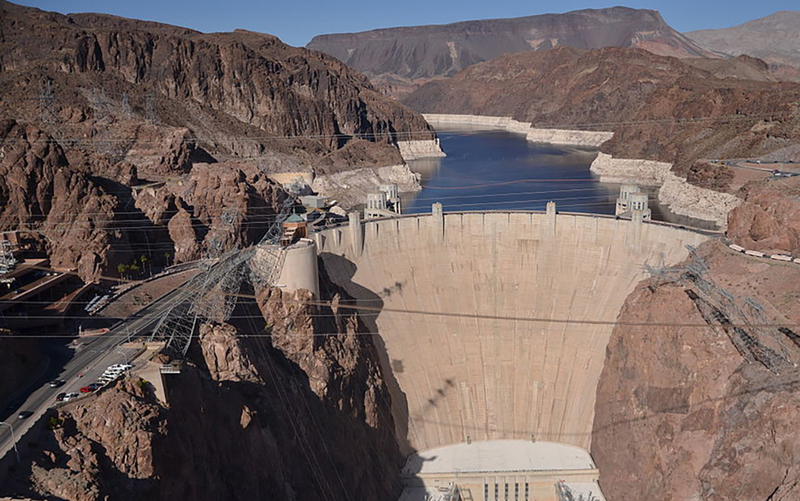 Here you can book Powerplant and Hoover Dam tours, which include access to the Visitor Center. Walk across both the Hoover Dam and the Mike O’Callaghan-Pat Tillman Memorial Bridge on foot to snap pictures of the panoramic views. Bring water and sun protection and be prepared for it to get windy on the bridge. 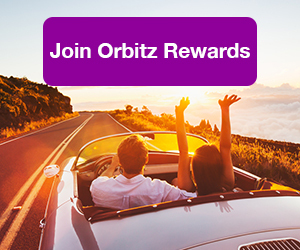 ALSO: Join Orbitz rewards and travel your way to amazing perks! 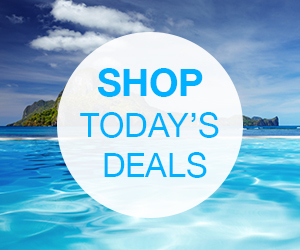 If you’re beginning to feel parched in Las Vegas, then perhaps you need a day out on the water. Lake Mead came into being after the completion of the Hoover Dam and The Lake Mead National Recreation Area is a popular destination for boating, fishing and water-skiing. The first stop you’ll want to make is the Visitor’s Center in Boulder City, where you’ll get plenty of information for activities and current conditions. Head to the Las Vegas or Calville Bay Marinas to rent everything from stand up paddleboards and kayaks to speed and fishing boats. 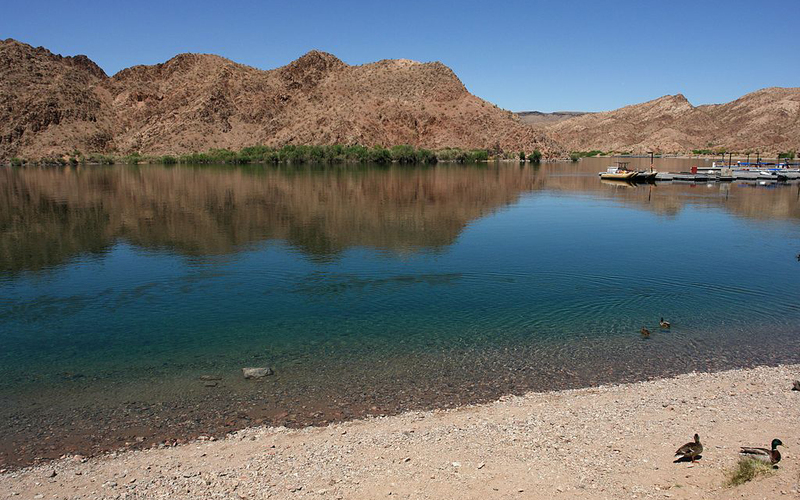 Enjoy the day exploring the shoreline and coves of Lake Mead from the water. If you prefer to stay on land, head to Boulder Beach for sunning and swimming, or hike along the trails for scenic overlooks of the lake and Hoover Dam. The $25 per vehicle entry fee includes access for 7 days. 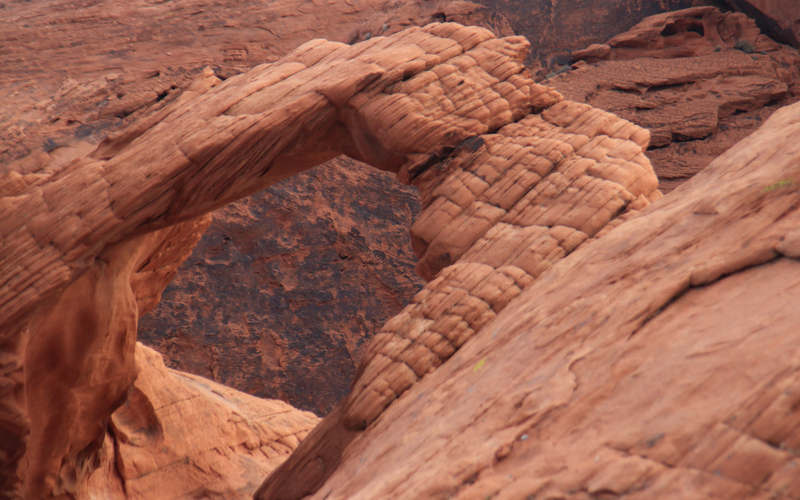 Following the shore of Lake Mead to the north, you’ll hit Valley of Fire State Park. 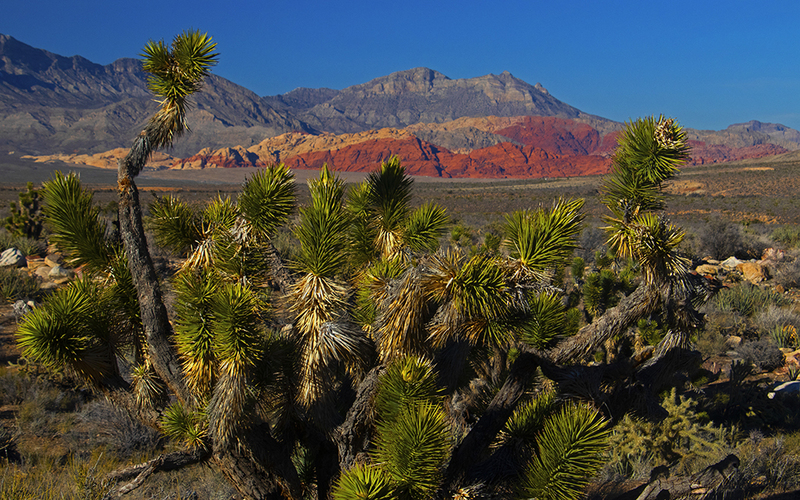 If what you seek is nature and spectacular landscape, Valley of Fire makes for a great Vegas day trip. Here you’ll encounter red sandstone rock formations that appear like “fire” when the sun’s rays hit from certain angles. Follow marked trails to get a close look at some petroglyphs, particularly around Atlatl Rock. But there’s more to this park than rock formations. Wildlife is abundant here, and while much of it is nocturnal, you may be lucky to spot bobcat, kit fox, coyote or other desert dweller. Desert Bighorn Sheep, Nevada’s state animal, are more commonly seen here during the day. There is a $10 vehicle entry fee per day ($8 for Nevada residents). For a great day out with families and kids, head to Bonnie Springs Ranch, historically a stop for wagons heading west to California. 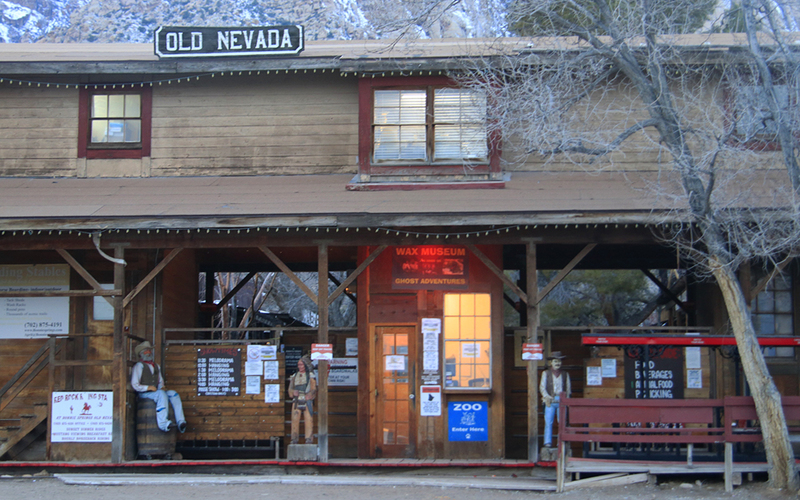 This 1880s mining town replica will transport you to another time. The Old Town sites include a schoolhouse, stamp mill, chapel, shooting gallery and wax museum. Much of the era is recreated with live entertainment such as gunfights, hangings and melodramas (performing Wednesday through Sunday). The kids will especially enjoy the petting zoo, pony rides and a scenic train ride running on weekends. Adults will enjoy the Bonnie Springs Ranch Bar, where ties are forbidden and will be collected and hung on the ceiling rafters. Of course, there are stables—no Old West experience is complete without horseback riding! A one hour guided trail ride costs $60. Admission to the Old Town is $10/adults and $7/children under 12, and includes the petting zoo and train rides. If you look out your Vegas hotel room between November and May, you might notice white peaks in the surrounding mountains—that would be snow. You can actually go skiing within an hour’s drive of Las Vegas. Mt. Charleston National Recreation Area offers plenty of fun for a “snow day” escape from the desert. The best place for skiing is Lee Canyon at the end of state highway 156. For sledding, tubing, and general snow play, the picnic areas of Old Mill and Foxtail offer restroom facilities. These sites are popular and can get crowded, so your best bet is to visit during weekdays or get there in the early morning. You can also head up the 157 for great scenic views and stretch your legs on some shorter hikes, such as to Mary Jane Falls (best in the spring). Stop at the Spring Mountains Visitor’s Center to get current road and trail conditions. Bring plenty of water for hiking and scenic driving in high elevations. On the western side of the Spring Mountains, about an hour from Las Vegas, lies a town with a very memorable name. While it may not look like much on a map, Pahrump is home to two wineries, a watersports lake, a speedway, an equestrian trail park, two golf courses and a firearms training center. And that’s not to mention the casinos, restaurants and specialty coffee roaster. 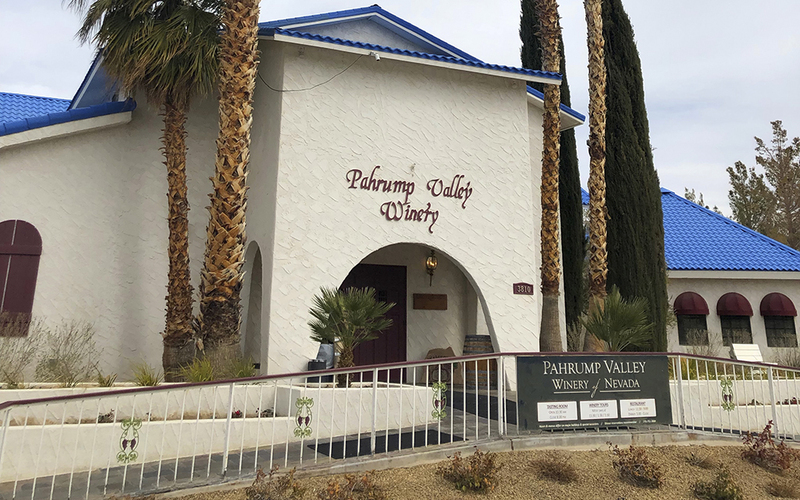 For wine fanatics, there are two to visit: The Pahrump Valley Winery offers free wine tastings and 30-minute tours of the winery and vineyards, while the Sanders Family Winery is also a venue for live entertainment. Adrenaline junkies have tempting options: At Spring Mountain Motor Resort & Country Club, test your skills of speed behind the wheel of a Corvette at the Performance Driving Center. In the summer months, take to the sky in a jetpack hydroflight at Lake Spring Mountain, then relax at the beach-oasis in a private cabana.